Last week’s 13 hour, old-fashioned “talking” filibuster by Senator Rand Paul brought some much needed attention to the ever-growing list of radical powers claimed by the executive branch. Introduced by President Bush and expanded by President Obama, these powers are rooted in the government’s response to the terrorist attacks of September 11, 2001. The filibuster merely highlighted the President’s most shocking power that is derived from the logical conclusion of the legal basis for the “war on terrorism”. Fighting Terrorists with a Traditional War? Throughout history nations have attacked other nations, and individual(s) have attacked other individual(s). The aggressor, the one who initiated violence, is committing a crime. In the case of aggression by a government, this crime is referred to as war. As war is of a vastly larger scale than individuals committing crime, governments have always claimed extraordinary powers during periods of war. Unfortunately, a major change to this long tradition occurred in the government’s response to the terrorist attacks of September 11th. Though terrorism is a federal crime, and has frequently been punished as such, the government took advantage of the extreme acts of terrorism committed on September 11th, and treated it as an act of war, rather than a crime. Even though the terrorist attacks were the criminal acts of individuals and not acts of war by a government, President Bush responded with war- and not with just a war on the terrorists, but a “war on terrorism”. In other words, he not only declared war on individuals (as opposed to foreign governments), he declared a broader war on terrorism, a criminal tactic. Since criminal tactics always exist, the war is necessarily endless. Thus, the temporary, extraordinary powers government claims in times of war have ceased to be temporary. Further, as terrorism is not geographically limited, the size of the battlefield is not precise or restricted. Indeed, we have reached the point that now the whole world is considered the battlefield (including the United States). Now we can, I trust, begin to see the dangers of the response to 9/11. It necessarily vests the government, specifically the President, with unlimited power to do anything he can do in a normal war, permanently and globally. “Once you accept that the US is fighting a “war” against The Terrorists, and that the “battlefield” in this “war” has no geographical limitations, then you are necessarily vesting the president with unlimited powers. You’re making him the functional equivalent of a monarch. That’s because it is almost impossible to impose meaningful limitations on a president’s war powers on a “battlefield”. We have long recognized that governments must be limited. History is riddled with examples of power being abused. Much blood and tears were expended over the past thousand years to establish these important checks on government power, and they are now being eroded at an alarming rate before our very eyes. The logical conclusion of granting the President unlimited war powers is that yes, an American citizen on American soil can be killed by the mere whim of the President, with absolutely no due process and no accountability. This was the central question of Rand Paul’s filibuster. The administration, likely realizing these claims of power are too extreme to openly advocate, has repeatedly dodged the question, instead of transparently explaining what they believe their powers are. They say it hasn’t happened yet and they do not intend to do so. Neither of these non-answers are reassuring, given that the power is permanent and that both circumstances and the President’s mind can change at any time. Even when Attorney General Eric Holder appeared to answer in response to the filibuster, he did not. The trained eye would spot trouble with the term “engaged in combat” and note that Holder dropped the word “actively” from the question. Guess who gets to determine who is engaged in combat? The President. How has this term been interpreted before? Very broadly. It’s terribly unfortunate that Rand Paul declared victory upon hearing the meaningless 43-word letter from the attorney general. He had them on the defensive, but upon cornering them he walked away without getting a clear answer. What we must demand is an admission that the President lacks the power to ignore the 5th amendment and unilaterally kill (or indefinitely imprison) American citizens on U.S. soil. And, unless one somehow posits that only American citizens on American soil posses equal human rights, we must expand this demand to include citizens overseas, anyone residing on American soil, and everyone else. To really strike at the root, we must demand an end to the war on terror. It’s not a real war and is an improper response to a real but also relatively minor threat posed by terrorists. President Obama, despite suggesting otherwise as a candidate, has fully embraced and expanded on President Bush’s war on terror. Both parties are equally responsible: Republicans, for introducing these radical executive powers, and Obama for institutionalizing and expanding them (e.g., Bush never claimed or exercised the power to target and kill American citizens without due process). Neither Republicans or Democrats can shove the blame to the other side, as both have contributed and collaborated to create this monster. There are no credible excuses Obama supporters and Bush supporters can offer. In particular, because he is the incumbent, Obama’s supporters often try to “blame Bush” for starting this to absolve their leader from responsibility, but this is completely false as Obama is currently President, not Bush, and it is Obama that is exercising, institutionalizing, and expanding these powers. Unfortunately some defenders of the status quo have tried to dismiss the filibuster as paranoia. If this is your mindset, what purpose is there for any laws to restrict government power? After you repudiate the Bill of Rights and such I will believe your argument is serious. Rand Paul’s filibuster was not a paranoid, partisan political stunt. It may well have been opportunistic, but also urgently needed as the first step to clarify what powers the executive branch holds and should hold. The only problem was Paul’s failure to go far enough: he should have broadened his critique of the other extreme executive powers claimed by Bush and now Obama (to his credit, he did to some degree during the filibuster; but not in follow-up media interviews), and most importantly, he should not have declared victory after receiving a cleverly worded non-answer from the Obama Administration. Nevertheless, we should all applaud Rand Paul for bringing this issue out of the shadows. It’s now our responsibility to take it from here, and hopefully, reject war as a grossly inappropriate response to terrorism. At minimum, due process free assassination of Americans must be overwhelmingly repudiated. Will the supposedly civil liberties respecting ‘left’, and the supposedly limited government ‘right’ say enough is enough, or will they allow or support the undermining of one of the most basic checks on power that have been upheld for hundreds of years: due process? The answer begins with you. It’s hard to think of a more important political issue than this, a matter of life and death, a matter of one of the most fundamental liberties ever. Now is the time to nip it in the bud, before it becomes further entrenched. I believe it is a “red line” issue, one that should break your support of any politician who stands on the wrong side. For further reading, I highly recommend “Three Democratic myths used to demean the Paul filibuster” by Glenn Greenwald and “Rand Paul’s Misplaced Celebration” by Jacob Hornberger. There are generally two sides to the issues of climate change and environmentalism. Typically, the ‘left’ is associated with concern (and sometimes alarmism) about global warming, and wants more government regulation to address environmental problems. The ‘right’, on the other hand, is associated with ‘denialism’, and downplaying both environmental issues and any need for significant action to ‘save the planet’. We can’t agree on the science, or how to respond to it. Honest environmentalists, those whose goal is reasonable preservation of the environment- rather than promoting a political agenda- will find the free market approach an excellent solution and a way to connect with many who are currently resistant to their efforts. The other side will also find the free market approach to achieve environmental preservation while resolving their healthy and justifiable concerns about other environmental ‘solutions’ that require impossible ideological compromises, such as radical proposals for extensive government regulations or even global government and global taxation. Unfortunately, there will be those on both sides who have other agendas, including the ‘watermelons’ and others who use environmentalism as a Trojan horse to accomplish some ideological goal, such as increasing government power; as well as those who don’t care about the environment, those who want to keep excessively polluting, etc. We can only hope these types will be a diminishing minority. Polls show Americans are deeply divided over global warming; last year, Pew Research reported that 34% of Americans thought there was no solid evidence for global warming, while 36% thought there was global warming, caused by human activity. In a 2010 Rasmussen poll, following ‘Climategate‘, the number of Americans who believed there is a significant disagreement within the scientific community over global warming was 59%. And finally, in another poll taken last year, 69% of Americans thought scientists had falsified research on global warming. Meanwhile, the scientists and scientific organizations have reached a near consensus that global warming is occurring and human activity is a significant contributor. Some challenge this by pointing to the Oregon Petition, where over 31,000 signatories with at least an academic degree reject the scientific consensus. The flaws with this petition are two: the list’s reliability is questionable in some cases; and most importantly, almost all of the signers don’t actually study climate science at all. Seriously, how could medical doctors and mathematicians be more authoritative on climate science than climatologists? Of course, any consensus can be wrong. But it’s there nevertheless, and there’s no reason for anyone to have an ideological interest in it being proven right or wrong. As with other disciplines in science, you might think the public would overwhelmingly accept the conclusions of the experts. But the climate science community stands out as untrusted. It can’t only be blamed on the industry and the public resistance to dealing with the costs of reducing pollution, though that is a significant factor. Because the green movement is nearly equivalent with ‘left-wing’ politics, it becomes a natural ally to other ‘left-statists’ who can use environmentalism to further their ideological cause. Hence, alarmism- hyping and exaggerating the situation- is in their interest, since it would further their cause even more. Not surprisingly- most others are left to assume the only way to deal with any man-made climate change requires actions that are ideologically distasteful if not completely unacceptable, so they resort to disputing or denying the science. Often, this results in pretty unscientific, sometimes unethical actions on their part. It’s a losing strategy, to be sure. The mere fact that environmental science and projects are widely funded by governments also fuels skepticism if not denialism for some. In my view, genuine skepticism, but not reflexive denialism, is quite justified in the face of government funded science coupled with the very political environmental movement that- with few exceptions- always calls for expanding the state’s power. The fact that there is a free market solution completely undermines the ideological justification for denialism. Conservatives, Republicans, libertarians, and the like- all groups that have been quite denialist- need to educate themselves and take away the moral high ground the statist-greens have set up for themselves. Solving environmental problems is not a matter of environmental science but rather economics. Environmental science can only tell us about the environment, not how the production, distribution, and consumption of goods and services function. An externality occurs when the cost or benefit of an exchange is not transmitted through the price. Some pollution costs are internalized today- i.e., the cost is included in the price. For example, a business is not allowed to dispose of old furniture by dumping it on someone else’s property. Rather, it must pay for garbage removal, or keep it and suffer the costs incurred from storing the trash. Either way it becomes another business expense that is ultimately transferred to the consumer, i.e. internalized. Up to the 1820s and 1830s, the legal jurisprudence in Great Britain and the U.S. was more or less predicated upon the libertarian vision of non invasiveness. Typically, a farmer would complain that a railroad engine had emitted sparks which set ablaze his haystacks or other crops. Or a woman would accuse a factory of sending airborne pollutants to her property, which would dirty her clean laundry hanging on a clothesline. Or someone would object to the foreign matter imposed in one’s lungs without permission. Almost invariably, the courts would take cognizance of this violation of plaintiff ’s rights. The usual result during this epoch was injunctive relief, plus an award of damages. In other words, the courts generally upheld private property rights, including cases where others trespassed by polluting the air, land, or water. A polluter was sued in a nuisance suit, required to compensate for his damage, and was ordered to cease their property rights violations. What were the results of this free market approach? First of all, there was an incentive to use clean burning, but slightly more expensive anthracite coal rather than the cheaper but dirtier high sulfur content variety; less risk of lawsuits. Second, it paid to install scrubbers, and other techniques for reducing pollution output. Third, there was an impetus to engage in research and development of new and better methods for the internalization of externalities: keeping one’s pollutants to oneself. Fourth, there was a movement toward the use better chimneys and other smoke prevention devices. Fifth, an incipient forensic pollution industry was in the process of being developed. Sixth, the locational decisions of manufacturing firms was intimately effected. The law implied that it would be more profitable to establish a plant in an area with very few people, or none at all; setting up shop in a residential area, for example, would subject the firm to debilitating lawsuits. When property rights- the essence of free markets- are fully enforced, there is no pollution externality. Thus, the environment is protected not only by altruism, but also the self interest of every individual and business. But then in the 1840s and 1850s a new legal philosophy took hold. No longer were private property rights upheld. Now, there was an even more important consideration: the public good. And of what did the public good consist in this new dispensation? The growth and progress of the U.S. economy. Toward this end it was decided that the jurisprudence of the 1820s and 1830s was a needless indulgence. Accordingly, when an environmental plaintiff came to court under this new system, he was given short shrift. He was told, in effect, that of course his private property rights were being violated; but that this was entirely proper, since there is something even more important than selfish, individualistic property rights. And this was the “public good” of encouraging manufacturing. Not surprisingly, this stripped away the incentives that prevented pollution from becoming a serious problem. Anyone that took extra steps to be “green” incurred a cost that set him behind those who did not. The development of anti-pollution technology and forensic pollution industry were left behind. The costs of pollution were therefore externalized, not borne by the polluter or passed through the price system. But the cost to pollution remained and began to catch up with us. By the 1970’s, the government began to realize the consequences and started to take action. Did the government reverse course and re-establish the free market approach? Sadly, no. What’s fun about simply enforcing property rights? The new way of doing things- consistent with the interventionist philosophy of the 20th century- was to pass a myriad of sophisticated government regulations further restricting property rights. Pollution was still allowed if you followed government rules. Of course, this suited both power hungry politicians and big business (which benefits from pollution costs being externalized as much as possible, and from the government regulations which disproportionately restrict smaller competitors due to economies of scale). That same system remains in place today, more or less. More, actually- the number of regulations and the growth of the bureaucracy needed to enforce it have only increased. But that is not enough for today’s environmentalists. If they had their way, they would multiply it many times more: the constant calls for new regulations, taxes, and subsidies are almost deafening. And they have a point: pollution continues to be a problem. But instead of continuing with this messy system- which is neither moral or ideal from utilitarian grounds- we need to restore the free market environmentalism of the past. Yes, the past: we took two steps backward, so the past is ahead of us on this matter- it is progress. First of all, although industry up to the 1830s was no great shakes compared to the modern era, it was not as non existent as implied by this objection either. Secondly, there is a reason for this: the burden of proof is on the plaintiff, so only the more egregious cases of pollution were in effect actionable, and de minimis was in operation, so that frivolous law suits, or ones alleging only tiny amounts of pollution were disregarded. This option does indeed sound more pragmatic, but there are problems with it. We have said that pollution amounts to an invasion. Suppose that someone had the authority to immediately end an invasion, say, for example, slavery, and refused to do so for 10 years on the grounds that this would be too “disruptive” or “impractical.” Say what you will about such a decision on pragmatic grounds, it cannot be maintained that it enhances freedom. Fortunately, we can have our cake and eat it too in the present context. That is, we can allow environmental lawsuits immediately, but also have a “waiting period” of perhaps 10 years or so in any case. This can be accomplished because of the 150 year gap, from approximately 1845 to 1995, when environmental forensics could have developed, but did not, thanks to a legal regime which was not conducive to it. The point is, had environmental forensics been developing over these last 150 years, but for some reason not implemented, and we were to suddenly allow environmental lawsuits for the first time at present, this would indeed drive industry to an abrupt halt. For the plaintiff ’s burden of proof would be easy to satisfy, under these assumptions. Moreover, there would be plenty of invasive pollution around to find people guilty of perpetrating. …[F]or the plaintiff to be successful in his lawsuit he must prove beyond a reasonable doubt that a specific particular polluter is responsible for invading his person or property. But to do so, given the sad sorry state of environmental forensics at least at the time of this writing, will take time, plausibly, as much time as it will take for industry to end the error of its ways without any great disruption. Even more time for the transition will come from the interval prior to the adoption of free market environmentalism. It would take a while, of course, to persuade a critical mass of people to embrace this (or any other) environmental solution. The biggest barrier now is not that it is rejected- it is unknown. Unfortunately, few of those that claim to support free markets have ever been exposed to these ideas, let alone those who are not free market advocates. That may change soon. To sum it up, pollution is garbage. You should not be allowed to trespass the property of others and dump your garbage there without their consent, period. It has been shown how private property is preserved from environmental destruction. The property owner may not harm the property of others, only his own (provided that such also doesn’t harm the property of others). Therefore, the incentive is to not harm at all, even if one does not care a wit about environmentalism, because they would be harming themselves by reducing their wealth. Rather, the incentive is to maintain or improve property, and thus the environment as a whole. Those who are in a position to appropriate to themselves the returns — lumber and game of the forests, fish of the water areas, and mineral deposits of the subsoil — do not bother about the later effects of their mode of exploitation. For them, erosion of the soil, depletion of the exhaustible resources and other impairments of the future utilization are external costs not entering into their calculation of input and output. They cut down trees without any regard for fresh shoots or reforestation. In hunting and fishing, they do not shrink from methods preventing the repopulation of the hunting and fishing grounds. Once again, costs need to be internalized, through genuine privatization. The common objection, of course, is that some commons are difficult to privatize. Land may seem easy, but water and air? Modern technology is already advanced enough to overcome those issues, and that’s without much effort towards further innovation, because such development hasn’t been demanded yet. Besides, we have dealt with this before; after all, at one time it was thought that private ownership of the vast range in the western U.S. was impractical. It may not be hard to admit that having property in the commons is problematic for the environment, compared to private ownership. But what about government ownership, on behalf of the commons? Rather than relying on the benevolence of all individuals to act in the interest of the commons, it relies on the benevolence of a smaller group of people, politicians and bureaucrats, to oversee and regulate for the benefit of all. Unfortunately, the incentives for responsible environmental preservation by government is also much weaker than that of private property. They are disconnected from the signals of the price system, which means they can never match the efficiency and “customer satisfaction” achievable by the market. And their incentives as temporary stewards of public lands is to exploit them as much as possible in whichever way may help prolong their political career; long term environmental concerns often end up in the back seat. “isn’t a corporation. It’s the Pentagon. Every year the Department of Defense churns out more than 750,000 tons of hazardous waste — more than the top three chemical companies combined. Further empirical evidence could be reviewed, to be sure; but economic laws remain the same regardless. Neither the commons or government owned land is ideal for the environment- usually it is quite harmful. Our goal should be to have the maximum amount of private property possible. A fascinating report on 60 Minutes amply demonstrates how private property preserves – and rescues- animals from extinction. In particular, note the opponent- in this case Priscilla Feral of “Friends of Animals”, would rather the species go extinct, than to be preserved through private property in Texas. It’s important to remember, for some, environmental preservation is not actually their primary goal. Animals going extinct, such as the Buffalo nearly did, are simple an example of the tragedy of the commons at work. Any useful or potentially useful animal is best preserved when they are privately owned. The cow, economically speaking, is quite similar to the Buffalo. Cows have long been private property, and have never come close to extinction. The owner of the animal suffers a direct loss if their beast is hunted to extinction; so they act to preserve it. Waste Disposal: Throw Away, Reuse, or Recycle? What should be done with waste? Shouldn’t we recycle and reuse more? Maybe, maybe not. To find out, the price system needs to function, which means the waste disposal industry should be fully privatized, so that- as with any other service- consumers get more and better choices. In the free market, different kinds of waste will command different prices. Homeowners and businesses would be charged or paid for waste, depending on its usefulness and ‘recyclability’. The incentive under this system is to use more recyclable, environmentally friendly products and less un-recyclable, toxic products. There have long been worries about overpopulation. World population is now over 7 billion. However, humans continue to fare quite well. Economically speaking, we have never been better off, despite the fact that we’ve been adding billions to the population in our lifetimes alone. Most resources on earth are underutilized at best, if utilized at all. The vast frontier of outer space hasn’t even been touched. The fact is, those predicting overpopulation through the years have failed to realize that the earth’s carrying capacity grows alongside the population: we don’t just consume more; we produce more, too. The rate of that growth is affected by the ability to make technological advances. Socialism- government intervention- is the factor that disrupts and slows this down. The serious problems of hunger and other shortages of goods and services can be resolved by expanding the use of private property/free markets and reducing government interventions. How does the market prevent overpopulation? Theoretically, because things are scarce, earth’s carrying capacity is not infinite, regardless of technological advances. Yes, it is far more than we can imagine today, but at some point you would reach a limit, if growth continued indefinitely. This is another matter of supply and demand. Assuming we are still confined to this planet, should all resources become scarce (excepting human labor, of course), prices will rise, which will lead people to have less children. But before that could ever become a problem, cheap and reliable transportation to space is more likely to bail us out. Should coal and oil be banned? Will the free market limit us to solar panels and wind mills? No, and likely no (okay, theoretically it is possible that solar and wind become so cheap as to drive everything else out of the market). Previously de minimis, a Latin expression meaning about minimal things, was mentioned; in a free market, this principle would limit pollution to a trivial amount. 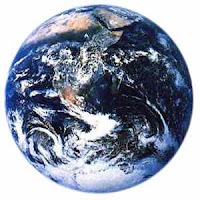 There will never be zero pollution; the earth can handle a safe level. All sources of energy involve creating some pollution. Today’s ‘dirty energy’ sources, such as oil and coal, will still be useable, provided that they are used in a manner that doesn’t violate property rights. The internalization of pollution costs incentivizes the necessary investment and innovation in developing whatever methods needed to use all energy in a “clean and green” manner. However this plays out- whether than means some form of energy ends up being used a lot, a little, or not at all- will be sorted out by the market via the price system. As long as the free market is allowed to function, there is no reason for environmentalists to be concerned about energy sources, as they are today. Being pro-solar or anti-coal will be as meaningless as being pro-lemonade and anti-milk. It is beyond the scope of this article to make the case for free trade. Most people recognize that free trade is generally a good thing, though many unfortunate trade barriers remain today. “A gasoline shortage occurred in the U.S. in the early 1970s due to price controls. When an Arab-led OPEC embargo raised the price of oil in the west, the U.S. government imposed price controls in the North Eastern United States. Whereas OPEC could not have otherwise harmed us, our politicians allowed them to do so. Had our government allowed prices to rise, oil would have flowed from other parts of the U.S. (and the world), to the North East. But since it was unprofitable to do so, this did not happen. The result was cars lined up for hours waiting to obtain some of the little gasoline that very few gas stations had. We should not be bothered about a possible refusal by Arab or all OPEC countries to sell to the United States harming us—a concern often voiced by those who cry that we should not be oil-dependent. As prices rose in the United States, non-OPEC oil-producing countries, along with other countries that also purchase oil from OPEC and non-OPEC countries, would export oil to the U.S. because they could profit by doing so. Besides, even if there were no indirect means of obtaining OPEC oil, OPEC would not refuse to sell to us for long. For doing so would cut off much of their revenues and profits. They would be engaging in economic suicide. So we reach another unconventional conclusion: energy independence is nothing to worry about! But science is a “public good”, critics claim. Individuals will not invest sufficiently because everyone else benefits for free, right? Wrong. First off, as we have noted, history seems to disagree. Secondly, the costs to understanding the science are quite high. Relatively few can actually comprehend the latest scientific research papers. Copying the science isn’t free for others, and by time they can put it to use, those who originally invested in the research have already benefited from it. Separation of science and state also isolates science from corruption or distortion by politics. Free market science would therefore eliminate the grounds for heightened skepticism of today’s scientific establishment, which is closely tied with government funding. Perhaps the best, short piece on the subject is Environmentalism and Economic Freedom: The Case for Private Property Rights (pdf) by Walter Block- which I quoted heavily above. Also useful is the book Economics and the Environment: A Reconciliation, published by the Fraser Institute. It can be ordered on Amazon or downloaded as a PDF. On science funding the work of Terence Kealey is recommended, such as his book The Economic Laws of Scientific Research, and a lecture on You Tube here. Also see his article End Government Science Funding. The Myth of Under-provision of Science by the Free Market by Anita Acavalos is an excellent article, as is this post by Timothy Sandefur. Moral: The non-aggression principle (“don’t initiate aggression against others”) is well accepted by most people, with one exception. They don’t apply this moral standard to the state. The state, of course, is funded by taxation, which is based in initiatory aggression. Say what you will on how much of a state there should be, it’s not moral to initiate aggression, no matter who does it. Hence, the voluntary market is morally superior to the state. Also see my article “Our Natural Rights” for more. Utilitarian: The state’s unique ability to “legitimately” initiate aggression changes incentives significantly, for the worse. The price system gives constant feedback to businesses on the success and failure of their actions. Scarce resources are allocated where and how consumers want them since that is where the maximum profits are. But the government cannot replicate this because they are not subjected to the profit-loss regulation, resulting in the calculation problem. It continues to receive money regardless of whether it’s actions best serve the needs of the “customer”. Thus, the government is inherently more wasteful than the market. Now that we have made a general case for the superiority of free markets, let us consider a few specific alternative approaches. 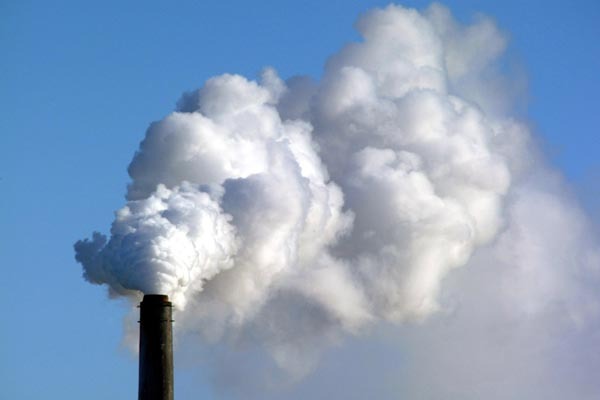 “Now some even seriously propose that we should have economic incentives, to charge polluters a fee for polluting–and the more they pollute the more they pay. But that is just like taxing burglars as an economic incentive to deter people from stealing your property, and just as unconscionable. The only effective way to eliminate serious pollution is to treat it exactly for what it is–garbage. Just as one does not have the right to drop a bag of garbage on his neighbor’s lawn, so does one not have the right to place any garbage in the air or the water or the earth, if it in any way violates the property rights of others. Feebate is a word made from two other words, fee and rebate. The plan involves taxing “polluting products” and using said funds to subsidize “clean products”. It can be implemented locally or otherwise and is supposed to be budget neutral for the government. If the polluting products leave the market, in theory, feebates can phase itself out. Compared with some other solutions, the feebates plan sounds reasonable. Still, the free market is a much better approach for the environment. Feebates relies on taxation and still allows pollution (property rights violations) to continue indefinitely (in theory). Additionally, as a government program, it too has the calculation problem; the disconnect from the price system prevents it from attaining the efficiency of the market. Promoters of feebates should find the free market solution, which accomplishes the same cost internalization goals they seek, as an even better system. The conventional wisdom is that pollution is an externality and therefore a market failure, and the state must step in to solve the problem. However, this is backwards: there has been a government failure to enforce property rights, which are the essence of the free market. The solution for environmental woes is the maximum possible use of the institution of private property. It is superior to the various government solutions offered today, and gives us the best of both worlds: maximum prosperity and ideal environmental preservation. A reconciliation of environmentalism and advocates of liberty is not only possible but necessary. What are we waiting for? Case for free trade: here is a short video series to check out. Kel Kelly, The Case for Legalizing Capitalism (pdf), pg. 85. Martin Anderson, “Pollution,” The Christian Science Monitor, January 4, 1989, p. 19. A guest post is on Gather.com by Steve Bachmann. He’s striking at the root, asking why Keynesians like Paul Krugman believe government is either A.) magical, or B.) composed of a class of people inherently smarter than you. Paul Krugman’s latest N.Y. Times Op-Ed column is another classic case study in the degree of absurdity and nonsense that permeates Keynesian economic thinking. It’s striking that Krugman would accuse his peers in the economics profession who disagree with his Keynesian doctrines of being “unscientific” in their analyses, since his own analysis amounts to a tacit repudiation of economic science. For if government can cure our economic ills just by profligate spending, if all it takes to cure a depression is for government to expropriate the wealth-producers in the voluntary sector and substitute their own discretion for that of the productive class, then what point could there possibly be in studying, refining or elaborating economic theory at all? We could toss all textbooks and treatises aside; if government can raise wages, make credit and capital more abundant, make every adult American a worthy homeowner, call forth “demand” from thin air to cure unemployment, and whatever other miracles it is generally held capable of “regulating” into existence, then clearly there can be no point or merit to theories that ascribe a priori and immutable characteristics to phenomena of social cooperation. With the Space Shuttle recently retiring from its thirty year career, it’s as good of a time as ever to explore the enticing opportunity that a free market can provide us in space travel and exploration. The space industry has been a government industry for most of our lives, in America and around the world. However, it would be a mistake to assume this proves either that space socialism1 was or is necessary or desirable. What would be different if the government hadn’t established NASA? Why is all that science fiction still fiction? Why isn’t space tourism affordable and routine? Should more or less money be spent on space? What would happen if we embraced market based space travel today? Rockets can be traced back to at least medieval China. 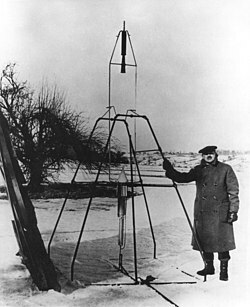 Progress was minimal until Robert Goddard and others began making important strides about 100 years ago. However, it wasn’t till governments provided major funding several decades later that we saw rapid advancement. We all know about the space race, where American and Russian governments competed to get their hands on German rocket scientists, orbit a satellite, orbit humans, and eventually land on the moon itself. Russia stagnated just as NASA, which had been established in 1958, reached its pinnacle in the mid to late 1960’s, taking in up to 4.41% of the annual federal budget. Just 66 years after the first powered airplane flight, man was standing on another world. Quite an accomplishment. Back on the ground, with Americans winning the race and now facing a deteriorating economy, enthusiasm and funding faded. NASA moved on to the Space Shuttle- with a tighter budget , and later a space station, which ended up being an international project, mainly funded by American, European, and Asian governments. The International Space Station had been in orbit six years by the time the first commercial, private manned space flight was made in 2004. That flight, aboard the Space Ship One, merely reached the suborbital altitudes Mercury astronauts achieved in 1961. However, it was a reusable ship, able to swiftly repeat the same feat a mere two weeks later, thus winning the $10 million X-prize. Blue Origin, a secretive company founded by Amazon billionaire Jeff Bezos. It’s working on a gumdrop-shaped capsule to carry astronauts. Sierra Nevada Corp., which is building a reusable Dream Chaser space plane that looks and feels like a mini-space shuttle. The craft is to ride a rocket into orbit, and at the end of its journey it would glide to a runway landing like the space shuttle did. The Boeing Co., the foursome’s most experienced aerospace company. Boeing is building an Apollo-style CST-100 capsule, but so far it’s behind the newest kid on the block. 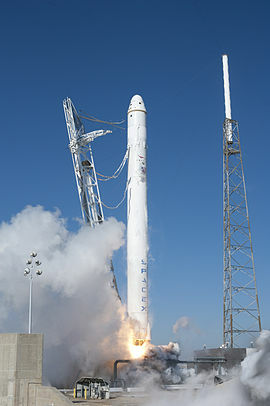 SpaceX, which was founded nine years ago by dot-com millionaire Elon Musk. The new boys at SpaceX have two successful Cape Canaveral launches under their belt. A number of people are now candidly and succinctly describing the Space Shuttle Program, NASA’s focus for nearly 40 years, as a magnificent failure. The complexity of the vehicle, it’s abilities and accomplishments- are indeed magnificent. However, the set goals of routine, affordable, and reliable space travel were entirely missed, i.e., failure. 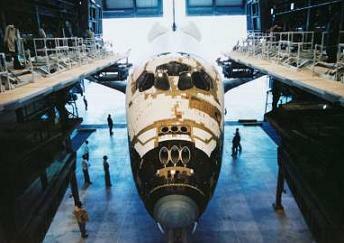 While Shuttle first launched in 1981, development began at least 9 years earlier. Prototype orbiter Enterprise did landing tests aboard a modified Boeing 747 in 1977. The first orbiter, Columbia, was due to fly in 1979 but delays from the troublesome thermal protection system pushed it back two years. The most active year ever was 9 flights spread among four orbiter vehicles in 1985. Each new orbiter was improving, but the program was already missing it’s goals by a significant margin- the promised 50 flights a year were still a dream. Then came the ill-fated day of January 28th, 1986. Seven astronauts and a fourth of the fleet perished in a tragic accident shortly after liftoff. The shuttles were grounded for over two years, leaving Americans without a way to get into space. The second phase of space shuttle flight came to life in 1988, at a more cautious and slow pace, with sometimes up to 7 flights a year, and no more DoD missions. Work began on space stations, first with the Russian Mir and later with ISS assembly. Once again NASA seemed to forget the lessons of Challenger. Safety was compromised for the sake of the schedule. On February 1, 2003, another tragic accident took another 7 astronaut lives and the flagship, Columbia. The fleet was grounded for another two and a half years. The President announced Shuttle would be retired after completing the ISS. The third and final phase began, with half the flight rate prior to the Columbia accident. No one pretended that routine and affordable space flight was the goal now. As we shall see, the magnificent failure wasn’t a mere flaw with the Shuttle program: it was the system of government space travel itself. Ultimately, it’s because socialism and economic interventionism cannot work. NASA is Seen; What is Unseen? What if NASA had not been established? Would we be better off, or worse? What might space travel look like today without government running the show? We must answer these questions if we want to make any comparative assessment. The classic essay, That Which is Seen and That Which is Unseen, penned by Frédéric Bastiat over 150 years ago, explained the oft-forgotten opportunity cost associated with government spending. 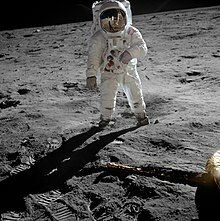 We see a lot with NASA, particularly the beautiful rocket launches, the images from space, and other important achievements- including the pinnacle of them, landing a man on the moon. We also see the many spinoffs- which NASA loves to promote. Unfortunately, most don’t consider the opportunity cost. The projects, inventions, products which we give up to pursue NASA are just as real. The resources used to fund NASA would have been used for something else- left in the pockets of taxpayers- and possibly funding commercial space companies. But what about the spinoffs? There would have been spinoffs from using the resources in other ways. Now we’ve established that government space travel is merely one way to use resources in attempt to satisfy our needs or wants. By choosing to fund NASA all these years, government has given up other ways to use your resources. The key question: How can we determine which use was better? Fortunately, no guessing is required. Again, basic economic laws provides the answer. An individual or a business operating in a market system has to consider the potential alternative uses of resources employed in any particular action. Prices of labor, capital, and raw materials provide a way to compare the costs of the different methods of producing any given good, and consideration of profits or losses give the entrepreneur critical information about whether or not the product is as desirable as other things that could be produced with the same resources. … [E]ven with competition from other governments, and even with NASA subcontracting to the private sector, the calculation problem remains. What was and is still being given up in order to build and maintain the ISS? What has been the opportunity cost of the various exploratory and research missions funded by the government? Without profit and loss, government space flight is unable to provide a credible economic justification for its own existence. In other words, free markets always deliver vastly superior products and services because of the price system gives constant feedback to businesses on the success and failure of their actions. Scarce resources are allocated where and how consumers want them since that is where the maximum profits are. Government cannot replicate this because they are not subjected to the profit-loss regulation, resulting in the calculation problem. It continues to receive money regardless of whether it’s actions best serve the needs of the customer. The problem is unique to government because the “customers” have no choice whether to pay up: taxation is not a voluntary exchange. As a result, the resources consumed by NASA are either completely wasted or used inefficiently. It leaves us all poorer and holds back our potential in the space industry- or any other sector of the economy. It’s true that without the government diverting resources away from the uses chosen by individuals and towards space, less- or more2 progress might have occurred. If development would have come at a later point, that simply means the people had more urgent needs to satisfy. We have no justifiable reason to override their decision with the force of government. You have a right to do whatever you want with your property as long as it is peaceful . It is immoral for anyone to violate these rights, but that is exactly what happens when government expropriates money from the public on behalf of a space program (or anything else). Via the Constitution, the states created a limited federal government, granting it certain powers and retaining the rest for themselves. Creation of a civilian space program such as NASA was not one of those powers ceded to the federal government. Rather, it was just assumed by Washington over the years. Those who think the original meaning of the Constitution should be enforced, rather than a modern re-interpretation, must consider a federal space program unconstitutional. Spaceflight- manned or not- is the most expensive and demanding form of transportation; compare it to a bicycle, car, boat, or an airplane, which are all much simpler in every aspect. Consequently, the savings and capital required to reach the final frontier is immense, and only possible in advanced, wealthy economies- after other, more fundamental human needs and wants are taken care of. Once an economy reaches this point, space travel becomes feasible, and develops like any other good or service on the market. A business earns profits only by serving the needs of customers. Once there is real demand for space travel, it becomes profitable to develop. While the commercial space industry is concrete proof that private space travel is possible, it’s still occurring in market dominated by government interventionism. As a result, progress is hampered in countless ways. There is every reason to think that without government crowding out and restricting the freedom of private enterprise, it would have flown rockets many decades ago. Indeed, the first telecommunications satellite was funded by private industry, not government- all the way back in 1962. Inefficient vehicles like the space shuttle would have never been sustained in a free market, especially not for 40 years (including development). Rather, cheaper, safer, and more reliable vehicles would have been required for companies to reduce costs enough to make a profit. Despite the past mistakes, what really matters is the path we take moving forward. The free market offers the best environment for prosperity- not just on earth, but in outer space as well. The Congress and President should begin taking steps to remove government barriers to the market as well as free up resources under government control so they can be used more efficiently by the people. Ultimately, everyone benefits from this transition, including the prospects for a robust space industry. It will be difficult to persuade some dedicated space fans- and probably most Americans- that NASA was a mistake. It took me awhile. The emotional attachments are hard to overcome. Ideas we have clung to for years are difficult to abandon. The harsh light of facts and reason to the contrary usually do not suffice. However, admitting failure and finding a better way is all that we need to do. That process is partially underway now. The success that is now showing up in the form of commercial spaceflight is a step in the right direction; however, we are still quite far from a free market, which is the goal. That goal is desirable from both utilitarian and moral perspectives. Economic laws and human nature say so. The Final Frontier is waiting for us. Yes, it is socialism: the means of production, distribution, and exchange are owned by the government- either directly or through its claimed right to regulate in any manner it chooses. It could be argued that government’s inability to efficiently control the space market has held us back so much that we would be much further ahead even if the private economy started many years later. Each side utters a mix of truth and falsehoods, but in the end, only one side seems to favor the responsible, economically healthy choice. And it’s not Washington, D.C. and the media (surprise!). Most of the hysteria suggests that without raising the debt ceiling, Default #1 will automatically occur. This is completely false. Interest payments consume a fraction of government revenues. The next false choice we are being pounded with is the joke that we must raise the debt ceiling to avoid Armageddon- as if there is no risk to raising the debt ceiling and maintaining the status quo. Meanwhile, those opposing a debt ceiling increase see more borrowing as the real Armageddon. The truth is there is no painless option. That’s the consequence of the reckless financial behavior that has occurred over many decades. The real resources needed to avoid any type of default do not exist. We did not invest the borrowed resources in things that maintain or increase in value: most of it was consumed or destroyed. 1. Address the Problem Now. Don’t give politicians more rope to hang our economy with. Force them to return to a sustainable path now, rather than wait till the problem grows and the rest of the world enforces a real debt ceiling by demanding higher interest rates, halting lending, and/or seeking repayment. 2. Kick the Can Down the Road. This is the deal Washington is seeking: raise the debt ceiling again, perhaps coupled with some insignificant spending cuts (from projected increases- there will be no actual cuts). Allow future Congresses to deal with a bigger can down the road. Each choice has consequences. It won’t be fun. But which is worse? Dealing with our problems now will be painful in the short term, especially for politicians and special interest groups. There is approximately $200 billion in revenue per month to pay the bills. The bills add up to almost twice that. To bring spending in line with revenue, we’d have to go all the way back to the horse-and-buggy days of 2002. Closing that gap will require prioritizing the bills. Some will be paid fully, some partially, and some not at all. There is more than enough to fully cover things like interest, social security, and soldier’s pay, if we want. The consequences will involve shutting down, downsizing, or abolishing many government programs at a fairly rapid pace. The militarism and corporate welfare would need to ended entirely, leaving only real defense- which costs a small fraction of present military spending. Additionally, many domestic programs would need to be reduced or cut. The social “safety” nets could be maintained with some reform. In the long term, though, prospects are much brighter. We no longer face a growing debt, or the threat of defaults- including a worst case scenario of hyperinflation. The money would no longer need to be devalued by the printing press, so prices would finally stabilize (or slowly fall as productivity improved). The budget would actually be sustainable, rather than transferring wealth from future generations to the present. Inversely, there is little short term pain in continuing the status quo. However, it’s irresponsible in the extreme to focus on a very narrow time frame and ignore the long term problems. By long term, I mean as little as a year or two. Those lending money to the US government will worry about it’s ability to repay- as I wrote about in January– and will summarily demand higher, crippling interest rates. If the printing presses are used to fill the gap, high inflation will wreck havoc on the economy. This is indirect and dishonest default. In the worst case a catastrophic hyperinflation will be the result. If the printing presses are not used, taxes will soar to crippling rates or massive spending cuts will occur. Essentially, we’ll be executing option #1 at a later time when the problem is that much worse. We’ll face option #1 now or later, or we’ll have hyperinflation. Hence, addressing the problem now is the only responsible choice at this point. Time is running out. Technically, we’ve already passed the debt limit, thanks to some accounting tricks- unfortunately. However, August 2nd is supposedly the hard deadline. That’s not much time, even if politicians were suddenly and completely persuaded that I’m correct. I was reluctantly open to a small debt ceiling increase earlier this year, to give a bit of time for solving this problem in an orderly fashion- but I no longer am, for two reasons. 1. I don’t trust politicians to deal with the problem in the future. That’s an old excuse, and they always just end up kicking the can down the road. a. Sell some of the +$1.6 trillion of federal assets. b. Ron Paul’s idea of cancelling our debt with the federal reserve. I admit to not understanding this one thoroughly enough yet, but it may just be an interesting way to get (another) $1.6 trillion more in time. We should blame the people that created this mess. They are primarily the Presidents and Congresses who spent at reckless, unsustainable levels over the past decades. We should not blame those who tell us what the problem is- nor those who advocate taking the bad-tasting medicine now before the disease gets even worse. Interestingly, some would like to cut off government expenditures on those who don’t want to raise the debt ceiling. Others might want to cutoff all welfare payments to close the gap- after all, aren’t these voters most responsible fore supporting reckless politicians? What right do they have to force non-voting future generations to pay for their mistakes? I’d say this attempt to pin blame and punishment on one group is a distraction rather than a solution. Almost everyone supported those politicians that created this mess though the years. For those that didn’t, well- they could not opt-out. They were still forced to pay taxes, so they deserve to benefit from expenditures as equally as those who supported the government’s actions. Once again, the bipartisan propaganda is wrong. Don’t raise the debt ceiling. We’ve kicked the can long enough. We’re headed for disaster, but we can still pick between an orderly, responsible, yet painful solution of cutting spending now, or a cataclysmic, out of control non-solution that involves massive defaults or hyperinflation. In the interest of brevity, I was unable to cover some important related issues. For instance, the US government has defaulted before– and the sky didn’t fall. And it could be defaulting on our debt- that is, not paying it all back (interest and/or principal) would be a good thing in the long term– or at least not the disaster we’re told to expect. Life does go on. If there is one rule we should all remember, it’s this: Beware of bipartisan consensus. Don’t assume it’s the right philosophy or policy. We’ve all encountered the phrase a house of cards, which leads us to think of a weak, unstable structure. Usually, this notion is correct. However, those that make a hobby of Card Stacking can build surprisingly strong structures, amazing scale models, and mind-boggling domes and even arches. All this can be done without bending, cutting, taping, gluing, or otherwise modifying and attaching the cards. For the past decade, I’ve been one of the few that take the hobby of card stacking to the extreme. While I don’t yet compare to the one person who has made a profession out of card stacking, I like to think of myself as an experienced amateur. It all started with ‘villages’ my brother and I built as young children, which were groups of simple one-story card houses. At some point, I got the idea of adding a second floor. I can still recall finally accomplishing that small feat. I seriously underestimated the strength of the first floor, still under the typical impression that card houses are feeble structures always on the verge of imploding. It was at a later point before I really mastered multi-story buildings and started making a hobby of it. At this point I had switched to using 3” x 5” index cards. I primarily focused on building towers, and by the time I was in high school I had produced buildings in the excess of 10 feet high, entirely constructed with plain index cards that were not attached by anything other than gravity. A turning point came after I finally ordered Stacking the Deck, a book authored by the world’s only professional card stacker, Bryan Berg. While I had already developed many of the techniques he uses, Berg’s skill and accomplishments even surprised me. I set to work building many of the projects he discusses in the book, as well as venturing off with some of my own designs. Before looking at the structure of well built card houses, let’s consider the materials. Playing cards are most commonly used, and that’s what Bryan Berg has been using for all of his world records. I have nothing against playing cards, but I don’t use them much- for one reason, they are pricey. My personal favorite is the business card; it’s smaller and allows me to add more detail in the same amount of space. I’ve been fortunate to obtain boxes of old business cards for free; otherwise, I would be stuck with index cards, which are flimsier but quite budget friendly. To build a neat, strong house of cards you must master a very simple four-card cell. See the animation to the left for a demonstration. Once this is assembled you can add as many cards as necessary, put a roof on, and repeat. Building towers requires repetitive and consistent assembly of these ‘grids’ or ‘honeycombs’ as I sometimes call them. One subtle but important thing I learned in Berg’s book is the careful attention that needs to be given to selecting a proper pattern for roofs on card house towers. Uneven roofing over many floors looks bad, and worse, handicaps your ability to build tall structures. Bowling Pin: A 56 inch tall, 18 story index card house in the shape of a bowling pin. Yes, I later knocked it down with a real bowling ball. Rainbow Dome: A giant rainbow-colored dome rests atop a couple of dozen posts- all made of index cards (and nothing else). Sears Tower: Now called the Willis Tower, Chicago’s famous black skyscraper is replicated below as a 46 story (nearly 8 feet high) card house, made with a few thousand business cards. Florida: The picture says it all. My Tallest Tower: Below, my tallest card house ever- over 5,000 business cards, and 72 stories tall. That’s 12 feet, 1.5 inches. I had to stop building there- since there was only an inch of ceiling space left. Failure is common: Whether it’s just a few cards or an entire building, there’s always a problem here and there. You’ve just got to learn from it and move on. To the right is an arch I built, which was unable to stand on it’s own after I took out the supports. Previously, I was successful in building a slightly smaller arch. Arches are the hardest structure to build, in my experience. Not Limited to Cards: You can apply similar principles to other materials and built some interesting structures. To the left are three pictures of Styrofoam cup-stacking, and a relatively expensive six story structure made of Federal Reserve Notes. Click here to see an image of the card house above. Next to the building process, one of the most rewarding things is- surprisingly- taking down your card house. There are all sorts of creative ways to do it. Most recently I used foam bullets, but I’ve also used bowling balls, remote control vehicles, fans, or just my hands. In Stacking the Deck, Berg said it was possible to pull a string through a card house without knocking it down. That was hard to believe- and I was shocked that I was able to replicate that feat on my first attempt. Demolition is also one of the best opportunities to learn about the building’s structure and improve on future work. More often than not, they can take quite a beating before actually collapsing. Stacking the Deck is an excellent book- for everyone. The pictures and descriptions alone are very enjoyable, whether or not you intend to build. And if you’d like to impress your friends- or just yourself, you will find the instructions easy to follow. Thanks to Brian Berg for pioneering this unique hobby, and most of all, for showing me there’s virtually no limit with plain ol’ cards. One can hardly avoid the phrase free market (free enterprise, capitalism, etc.) in discussions of economics or politics. Regrettably, the term is used carelessly to describe a myriad of schemes that have little or nothing in common with a genuine free market. It should be rather embarrassing that we’ve allowed this sloppiness to become the modus operandi of everyday political dialogue. We must stop tolerating the manipulation of our language before we can have clear and honest discussions. In this article we will examine the true meaning of a free market, and why it is imperative that we use the correct terminology in our communications. We will not consider the merits of a free market versus alternatives; that will be reserved for a future post. By definition, free means unhindered, at liberty, and independence from control by others. One can only be free in this sense when natural rights are respected (Natural Rights were examined in a previous Striking at the Root article– it’s important background information). A market, of course, is a network of economic exchanges. Putting these two words together, we must define a free market as a market in which all participants are free to act as they desire provided they do not violate the natural rights of others. In a free market people may invent, innovate, produce, and exchange goods and services (including labor) freely and peaceably, without interference by a third party (be it a lone criminal or the government). 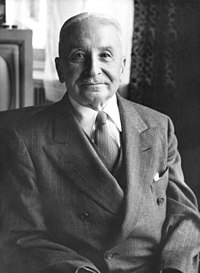 “[Free Market/ Capitalism] means that the production and distribution of economic goods are privately owned and the consumption of goods and rate of savings are determined by the individual decisions of economic actors, allowing a price system to emerge, which steers entrepreneurs and capitalists into the sectors of the economy which will most satisfy consumer wants and consequently give them the highest margins of profit. It’s really that simple. In a free market you may do whatever you want, with the exception of violating other’s rights. Do We Have a Free Market? Most readers should already know the answer by now. Is there, in the United States (or anywhere else), freedom to do whatever you want with your property, as long as your respect that same right of everyone else? Can you take a job for whatever price you and your employer agree to? Are you free to stop using Federal Reserve Notes and start using gold as money? Are you able to open a business without any interference by the government? Can you buy and sell raw milk? Are airliners free to run their own security system in competition with the TSA? Is a business free to adjust prices however they like, particularly when demand rises rapidly while supply remains stagnant, as often happens to bottled water or batteries after a natural disaster? Are businesses denied special privileges (a.k.a. corporate welfare)? Is competition unrestricted? Are you free to raise and sell rabbits? All these questions have one thing in common: the answer is no. If the United States ever had any semblance of a free market, it has long since disappeared. “A free market is an unregulated market”: There is no such thing as an unregulated market; the only difference is who regulates. Aside from the regulation of natural law “don’t violate other’s rights”, a free market is carefully regulated by all participants, who do so by trading with those who offer goods and services that satisfy their wants and needs. “A free market is lawlessness and chaos”: To correlate free markets with lawlessness and chaos is, by definition, patently absurd. As shown above, a free market (by definition) is not unregulated. You are not free to do absolutely anything. 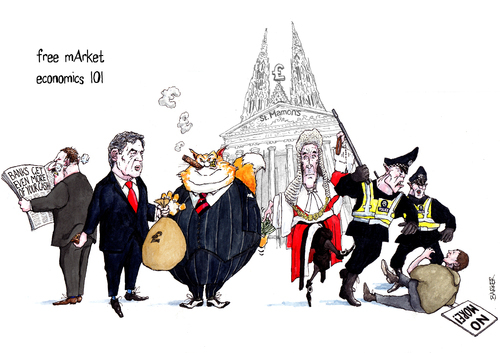 “Greed runs amok in a free market”: In a free market people are strictly limited to whatever can be achieved through voluntary means; greed is not a legitimate excuse to overstep the regulations imposed by the free market. It doesn’t matter how greedy you are, you can only get ahead by hard work, increasing your productivity, and persuading others to voluntarily buy your labor and/or the goods produced by your labor. “The free market only benefits the rich”: Some would have us believe that a free market is a playground for the rich and the rest of us would be their toys, with which they may do whatever they like. To the contrary, in a free market, fraud is illegal, industry may not pollute the planet, employers may not abuse employees, big businesses cannot use government to obtain subsidies, eminent domain becomes a thing of the past, etc. Anything that involves violating other’s rights is contradictory, not synonymous, with free markets. To correlate these things which by definition conflict with a free market is disingenuous. Most people have been taught to misuse the phrase free market for their own agendas: either hiding behind its banner, or making a scapegoat of it. The “right wing” specializes in the former, that is, taking advantage of its positive connotations to sugarcoat their actual beliefs. In their rhetoric they sing the praises of the free market, but their policies are its antithesis. The average Republican supports the status quo. They rarely question any part of it- and usually reject talk of actual free markets as preposterous. Perhaps some would insist that pure free markets (or anything close to that) are impossible, and thus my contentions here are moot. Whether their opinions are correct or not, this is hardly an acceptable excuse for dishonest use of our language. The “left wing” tends towards the latter, accusing free markets of countless crimes for which it was not even around to commit. They lay the consequences of interventionist policies at the feet of free markets to persuade their supporters into thinking ever more interventionism is necessary. Why does anyone resort to this blatantly deceptive advertising? At best it is ignorance, or worse, they allow political motivations to trump honest communication. We cannot successfully communicate when we- even inadvertently- manipulate the language for our own agenda. A free market is a market in which each participant is sovereign. As long as one does not violate the rights of others, they have the freedom to do whatever they wish. We have avoided discussing the merits of free markets- that is a topic for another article. Our goal of figuring out what a free market is and why we should be more careful with our terminology was enough for one posting. Regardless of your opinions about free markets, it is crucial that ulterior political motivations take a back seat to honest use of the English language. If we can’t move beyond sabotaging words and start clearly communicating our ideas, there’s little hope of any progress in our political discourse.